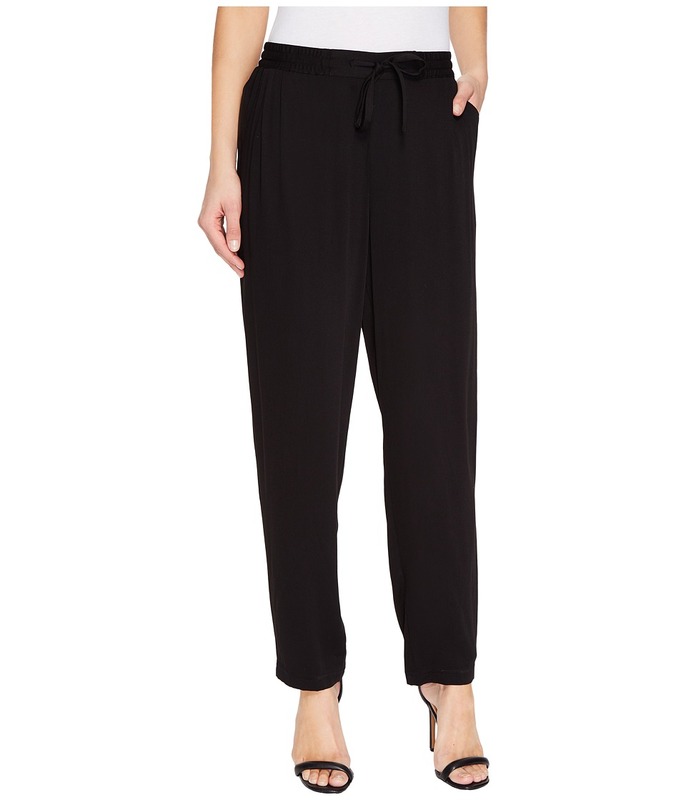 Create a perfectly polished look with this TWO by Vince Camuto pant. Flaunts a regular rise and a skinny leg. Ultra White is a solid white color that lends a sleek appeal. Classic five-pocket design. Belt loop waistband. Zipper fly and button closure. Brand embroidery on corner back pocket. 99 percent cotton, 1 percent spandex. Machine wash cold, tumble dry low. Imported. Measurements: Waist Measurement: 25 in Outseam: 39 in Inseam: 31 in Front Rise: 8 in Back Rise: 13 in Leg Opening: 10 in Product measurements were taken using size 25, inseam 31. Please note that measurements may vary by size. Boast timeless style with updated details for a flattering look. Supersoft top boasts a smooth woven hemline for a double layer illusion. V-neckline. Three-quarter length sleeves. Straight hemline. Body: 60 percent cotton, 40 percent modal Combo: 100 percent rayon. Hand wash cold and lay flat to dry. Imported. Measurements: Length: 30 in Product measurements were taken using size XS. Please note that measurements may vary by size. Comfortable and flattering. 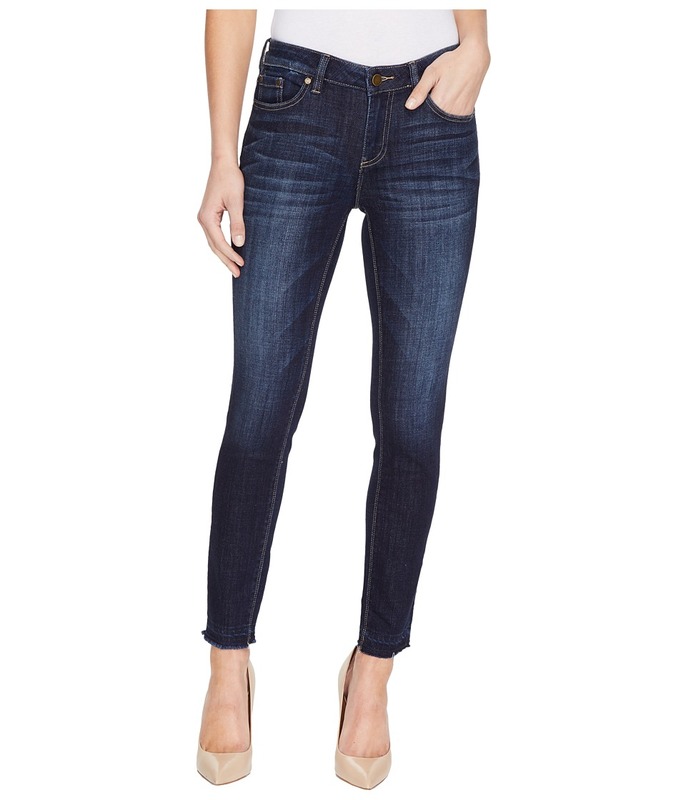 Mid-rise jean boasts a skinny leg that hits at an ankle length. Soft stretch fabric features a rich indigo wash with light fading and whiskering. Contrast top stitching. Five-pocket construction. Brand embroidery at the back left pocket. Unique undone hem. Belt loop waist. Zip fly with button closure. 63 percent cotton, 21 percent lyocell, 14 percent polyester, 2 percent spandex. Machine wash cold and tumble dry low. Imported. Measurements: Waist Measurement: 28 in Outseam: 36 in Inseam: 28 in Front Rise: 8 1 2 in Back Rise: 12 1 2 in Leg Opening: 10 in Product measurements were taken using size 26, inseam 28. Please note that measurements may vary by size. Take control of your look with these show stopping jeans. High-rise jean boasts a flattering skinny silhouette. Soft and stretchy sateen fabric offers a luxurious wear throughout the day. Five-pocket construction with tonal brand embroidery at the back left pocket. Belt loop waist. Zip fly with button closure. 74 percent cotton, 23 percent rayon, 3 percent spandex. Machine wash cold and tumble dry low. Imported. Measurements: Waist Measurement: 28 in Outseam: 39 1 2 in Inseam: 30 1 2 in Front Rise: 8 in Back Rise: 14 in Leg Opening: 10 in Product measurements were taken using size 26, inseam 30.5. Please note that measurements may vary by size. Own your look with this stunning jean. Mid rise jean boasts a skinny leg that hits at an ankle length. Blue Indigo offers a medium hue with hand sanding and whiskering on a soft stretch fabrication. Five-pocket construction. Tonal topstitching. Belt loop waist. Embroidered logo hit at the back left pocket. Zip fly with button closure. 63 percent cotton, 21 percent lyocell, 14 percent polyester, 2 percent spandex. Measurements: Waist Measurement: 28 in Outseam: 38 in Inseam: 28 in Front Rise: 8 in Back Rise: 13 in Leg Opening: 9 in Product measurements were taken using size 25, inseam 28. Please note that measurements may vary by size. Contemporary styling with a modern fit. Relaxed jogger pant boasts a high rise with a tapered leg. Drapey rayon twill fabric offers a comfortable wear throughout the day. Elastic waist with drawstring adjustment. Side hand pockets. 100 percent rayon. Machine wash cold and line dry. Imported. Measurements: Waist Measurement: 30 in Outseam: 39 in Inseam: 28 in Front Rise: 11 in Back Rise: 16 in Leg Opening: 14 in Product measurements were taken using size SM, inseam 28. Please note that measurements may vary by size. 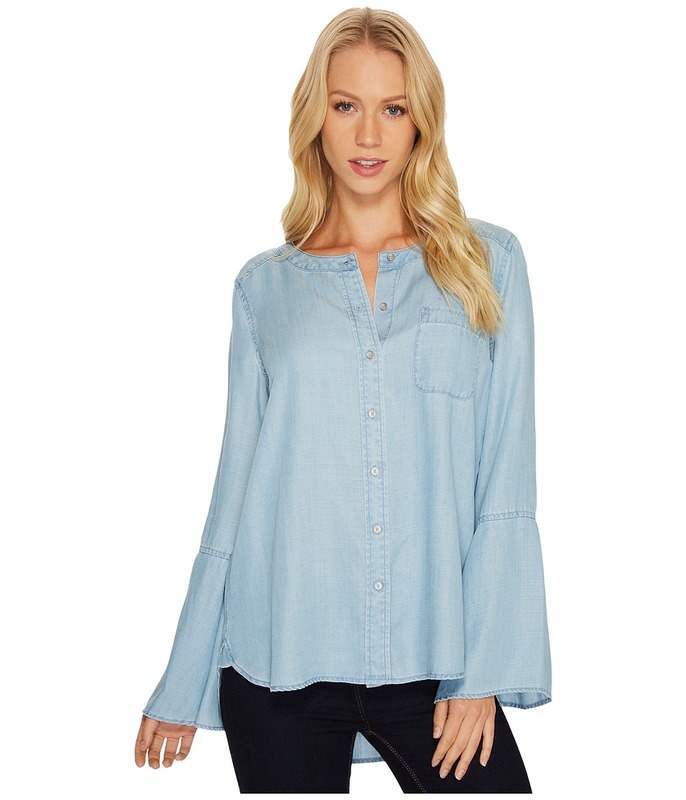 Create a fun look in this stylish TWO by Vince Camuto shirt. Crafted from a smooth and soft Tencel fabrication. Collarless design. Long bell sleeves. Patch pocket at the left chest. Straight hemline. 100 percent Tencel lyocell. Machine wash cold and tumble dry low. Imported. Measurements: Length: 28 in Product measurements were taken using size SM. Please note that measurements may vary by size. Get the look that others desire with this alluring TWO by Vince Camuto dress. Dark Authentic denim offers a deep blue hue on a beautiful shift silhouette. Round neckline. Short sleeves. Straight released hemline. 63 percent cotton, 21 percent lyocell, 14 percent polyester, 2 percent spandex. Machine wash cold, tumble dry low. Imported. Measurements: Length: 36 in Product measurements were taken using size SM. Please note that measurements may vary by size. 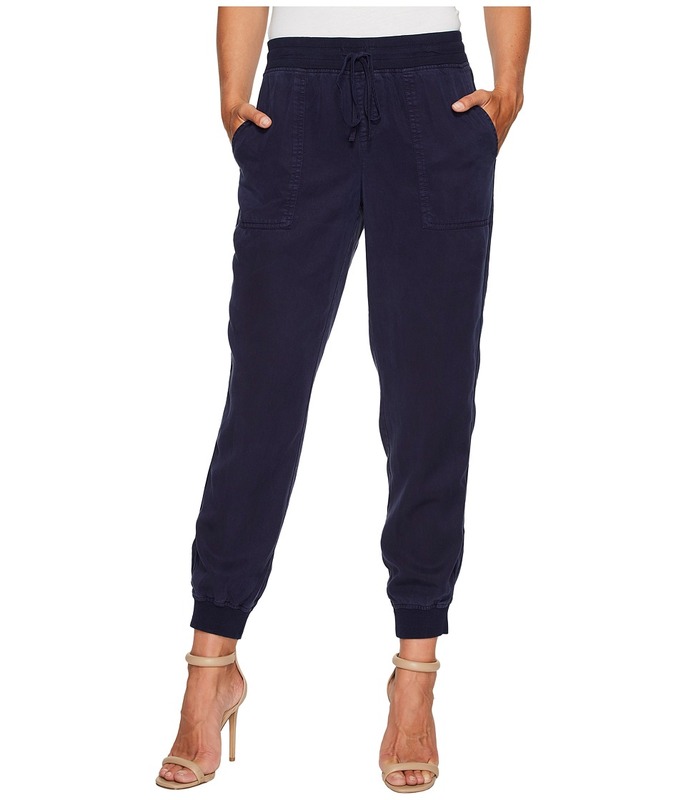 Keep your look on trend with this TWO by Vince Camuto jogger pant. Mid-rise pant boasts a relaxed fit with ribbed elastic cuffs. Crafted from a soft Tencel twill for a comfortable wear throughout the day. Elastic waist with drawstring adjustment. Side hand pockest. 100 percent Tencel. Hand wash cold and line dry. Imported. Measurements: Waist Measurement: 31 in Outseam: 36 1 2 in Inseam: 28 in Front Rise: 10 1 2 in Back Rise: 15 1 2 in Leg Opening: 9 in Product measurements were taken using size SM, inseam 28. Please note that measurements may vary by size.